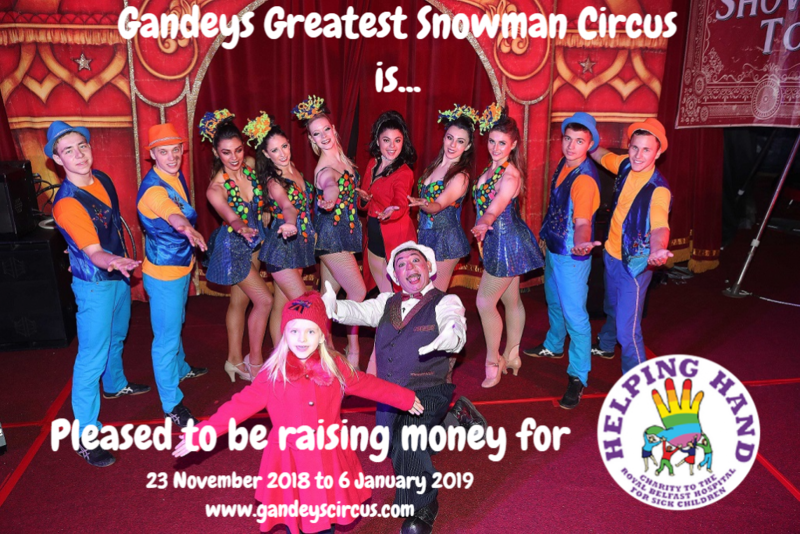 A big thank you to all the performers & back room staff from Gandey’s Circus who have been staging their Greatest Snowman Show as part of the Belfast Winter Wonderland Festival over the Christmas period. Gandey’s very kindly donated a Family Ticket for each performance which we distributed around the hospital to all patients, staff & supporters to take their families for a special treat. We also had the opportunity to hold a collection after each show and we managed to raise £1,500.00 which will benefit children from all over Northern Ireland.